Two Coog Fans. Two Sports. Two Topics. Two Takes. 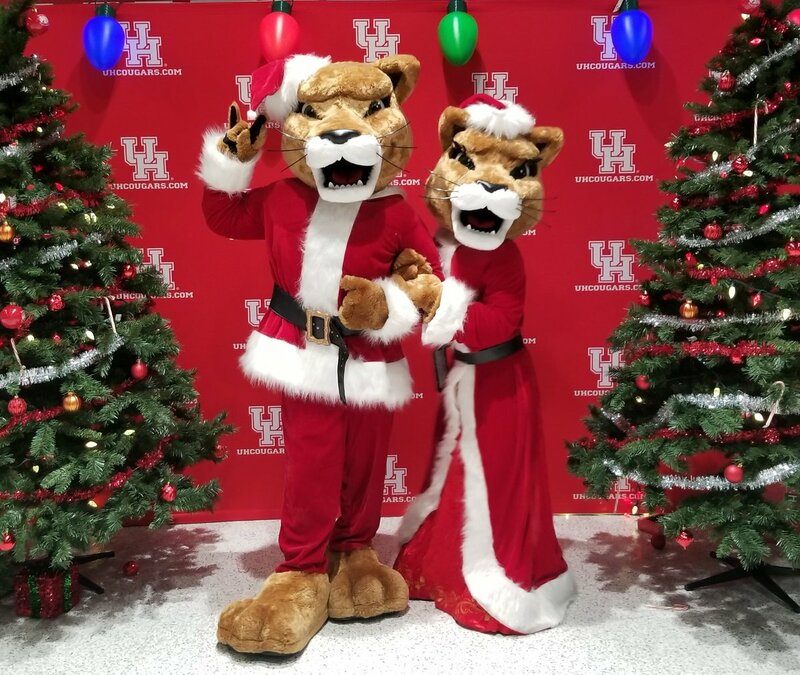 Today, dos Coogs lets loose on topics that are threatening our Christmas spirit. That is a significant commitment in both money and years to keep the core of our offensive staff together. And honestly, it’s well-deserved. Between Applewhite, Briles, and Clements, UH is now spending $2.6 million per year on our three top offensive minds. But now the precedent has been set and the new defensive coordinator will get a 3-year deal and at least $400,000 per. You can’t have the DC making less than the OL coach. And if he brings his own guys for other defensive jobs, you can expect to see pay increases in those slots as well. 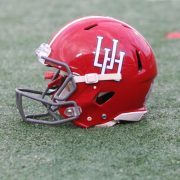 UH is stepping up their game on the salary front which means it’s time for Applewhite to deliver. Nothing turns up the heat like committing a crap-ton of money to coaches. Seven and 8 wins won’t cut it going forward – just like it hasn’t the last two years. 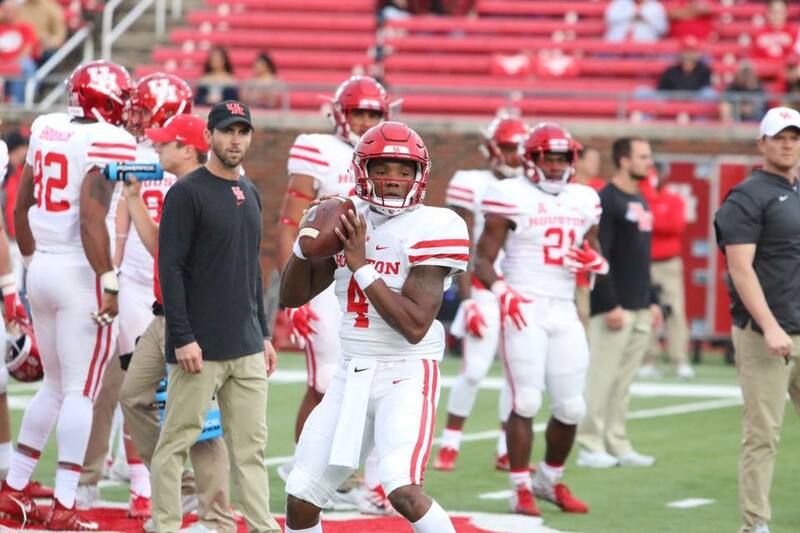 If Applewhite cannot win the AAC West in 2019 then you have to figure a change will be made. 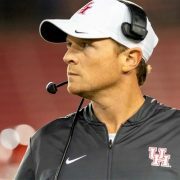 As it stands, any hot seat list for 2019 has to include Major Applewhite near the top. These new contracts are a commitment to winning but they’re also an insurance policy against the worst-possible scenario. Starting now, the top three offensive coaches have the same contract length and Kendal’s base salary is just $100,000 less than Applewhite’s. With the raises and extensions, UH brass has identified the strength of the program – the Briles offense – and they’ve made a big bet on it. 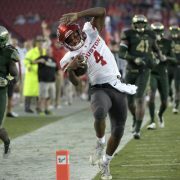 If things take a turn for the worst, I believe a decision will be made sooner rather than later on Applewhite’s future. The table is now set for Pez to tap the hot OC in-house as the next coach rather than doing an outside search. Briles and Clements are a package-deal and because we pay buyouts on base salary (and not on non-salary compensation), it now costs more to fire them than it does to fire Major. I hope it doesn’t come to that. I hope we can get everything turned around and get to 10 wins and a division title. The schedule next year doesn’t help that matter but UH just paid a nice insurance premium just in case. We have a new Director of Marketing and Event Presentation that spent a couple decades roaming the Rockets’ sideline as Clutch the Bear. He came to UH looking to change everything about our game atmosphere. But he’s gotten off to a rough start – after 4 home football games, we shelved his idea for the awkward HTown Declaration. Very, very awkward. This. Is. Our. House. This. Is. Our. City. We. Are. Houston. Strong. You. Are. Now. In. The. Cage. 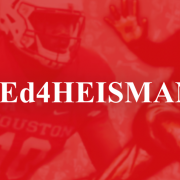 Never mind that we killed off the “HOUSTON … COUGARS” sideline-to-sideline chant for that. You know, something people actually like and participate in and gets them ready for a game? Worse than the declaration was the over-saturation of ads, gimmicks, polka bands, contrived interviews, and contests where women stuff themselves with hot dogs. It was too much. Before the Fertitta Center opened, you had to figure we were going to goof it up with the same stuff. Too much of the NBA-style hype that kills a college atmosphere. But we didn’t! It was a beautiful night and everything came off first-class. 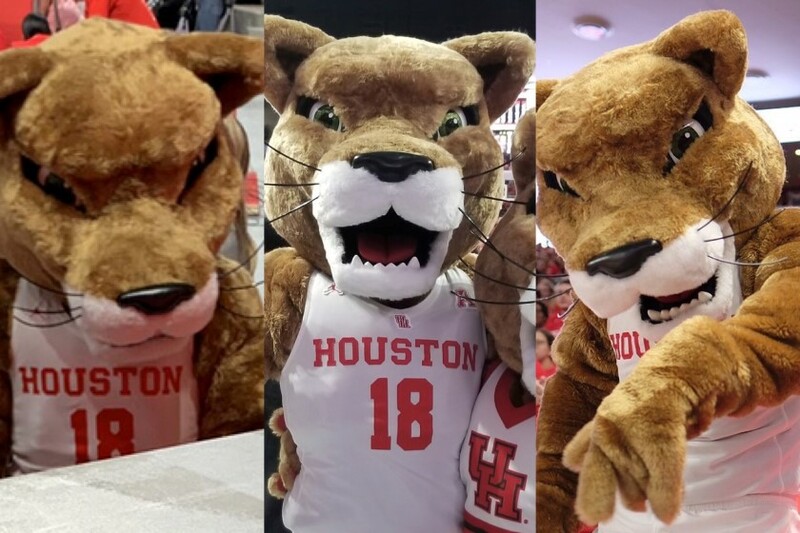 Except for that bear, err, cougar we debuted as our new costumed mascot. It looks like Shasta had a face lift. And then another. And then another. It’s just wrong. Very, very wrong. NewShasta® scares small children. Hell, NewShasta® scares some adults! Some changes are good – certainly the Fertitta Center fits that bill. And then there are changes that are bad – and NewShasta® is certainly that. Sometimes, I get the feeling that our director of marketing and event presentation hadn’t spent any time at a college game before he came here and doesn’t understand what makes it special. Combining high school chants and NBA noise isn’t the way to endear yourself to UH fans. Sometimes, I think he is changing our pre- and in-game atmosphere to justify the position we created for him. Sometimes you have to change things that are perfectly good just to make them your own. There was no need to change the mascot. Old Shasta (RIP) was kid-friendly and looked like a Cougar. But even if you thought the costume needed to be freshened up, the costume chosen was bad. Very, very bad. But don’t worry, kids! At least it can’t get any worse.